Ignite Your Vitality In 99 healthful recipes, chef Nira Kehar translates ancient Ayurvedic principles into everyday dishes that heal and energize from within. 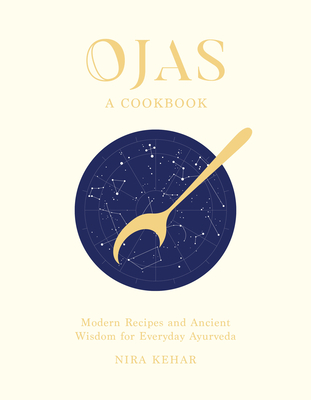 Learn how eating seasonally while satisfying your body's taste cravings will nourish ojas--your life essence--and bring about a physical and mental balance that is key to staying healthy and feeling your best. Start applying Ayurvedic wisdom to everyday food choices: eat for your individual physical constitution or dosha, incorporate spices into everything from snacks and main dishes to desserts and drinks, make a perfect wholesome bowl at any season, and so much more. These easy-to-make recipes are a first step toward igniting your vitality.